Chrisms, off-topic today but since it took a bit to find their names, to continue our discussion from yesterday, I have absolutely no argument with your last point that the USHL is getting progressively better as more American kids take to the game of hockey. But all I was saying is, right now, as a league, it’s barely above Tier II Junior. As for the latter, and to answer another of your questions from yesterday, here’s a partial list of players who went to the NHL after playing their junior hockey at Tier II and avoided Major Junior for flings of varying periods at a U.S. university: John Van Boxmeer, Al MacAdam, Ken Houston, Cam Botting, Brent Sutter, Troy Murray, James Patrick, Chris Chelios, Dave Ellett, Ray Ferraro, Tony Hrkac, Brett Hull, Tom Tilley, Danton Cole, Neil Wilkinson, Russ Parent, Mike Eastwood, Garry Valk, Rod Brind’Amour, Dixon Ward, Jason Marshall, Kent Manderville, Greg Johnson, Anson Carter, Ryan Johnson, Bates Battaglia, Danius Zubrus, Travis Zajac, Andrew Cogliano, Kyle Turris. George O here is another list; undrafted NHL players has nothing to do with your conversation other then for one reason or another these players were not drafted by an NHL team: Geoff Courtnall, Steve Duchesne, Dan Boyle, Curtis Joseph, Steve (stumpy) Thomas, Brian Rafalski, Borje Salming, Dino Ciccarelli, Joe Mullen, Adam Oates, Ed Belfour, Peter Stastny, Martin St. Louis and Wayne Gretzky. Gretzky played in the WHL and Stastny defected. Article I read on “the hockey writers” website. . That doesn’t include the existing unsigned NHL player. Like Tyler Bozak, Torey Krug among others. During yesterday’s exchange, when Chrisms said “I wouldn’t ever pay a dime to watch chl or college or ushl hockey” the first thing that jumped to mind was “perspective,” and how it differs depending upon how the media plays it up. A LOT of people share that view as can be readily seen at any Tier II or USHL game (where the “crowds” are – from what I can glean off the web – marginally higher than any at Tier II hockey. (Some college games do draw big crowds, especially as they get into their Frozen Four tournament. And yet, when the women play in their word tournaments they draw huge crowds due to the hype, even though the calibre is such that a Tier II or USHL team would blow them away (they draw flies at their league games which explains the closure of one league). But that fact can never be mentioned on any hockey panel discussion due to the “politically-correct” backlash that would certainly ensue. Using only “perspective” I have to say that the world/olympic games are entertaining – at least between the U.S. and Canada – even though you know that the hockey is well below that of Tier II. 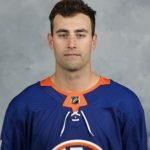 It is doubtful for Eberle to return next season, and Nelson for sure will be allowed to walk. That would leave space to make a pitch for Panarin. Arizona will not entice any high profile UFA, so they will likely go via trade. It is possible that if the Panthers sign Panarin that Hoffman becomes available and thus would be attractive for Arizona. In return Florida would want a dman, which could prove difficult as Arizona’s key dmen have NTC and NMC. Chychrun is a possibility though they may be reluctant to trade him after having extended his contract. I wouldn’t rule out such an idea of Hoffman and Matheson for Chychrun and Hjalmarsson (NMC/NTC). I also agree that there have been few drafted right out of Tier II – in comparison to the increasing feed by the USHL – but that’s because the very best of Tier II either routinely move up to Major Junior or go on to college hockey. One thought about pending free agents, especially after the playoff games so far, is that Duchene and Eberle might be a match made in heaven – just maybe not salary cap heaven. I still see Buffalo re-signing Jeff Skinner. I also see Toronto and Carolina making a trade – a forward from the Leafs and a defence man from the Hurricanes. What I never understand about this type of claim is how Eberle is playing himself into a player any other team wants unless Barzal goes with him. If not, then Eberle is just what he always has been: a superbly talented streaky player with consistency issues. Clearly, any buyer has to beca good fit. That doesn’t scream bidding war to me.